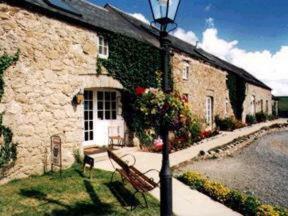 Lock in a great price for Nant Yr Odyn Country Hotel & Restaurant Ltd – rated 9.1 by recent guests! friendly owners, over friendly cat !! the food was lovely, we had eaten in a well known 'tv chef' restaurant on the first night but the dinner we had here on the second night was superb and we all agreed that it was a much better meal, fish cooked to perfection, melt in the mouth lamb, and the deserts were heavenly. very reasonably priced too. The personal attention from the proprietor was outstanding, the staff was great as well. The property is very nice, comfortable, and the bar, lounge area and restaurant are cozy and welcoming. Perfect place to chill after a day on the road. WiFi is easy and with a great signal, a must for me. Breakfast was hearty, easy and homemade. A total "10". close to were i was having meetings. set in loverly country side. Welcoming staff. Clean room. Catered for all our needs. Meals were very good. Quiet location. We have returned and are likely to again. Breakfast lovely. Staff and hosts excellent nothing too much trouble. Booked taxis for us as well. Cooked fresh to order. Plenty of choice of fruit, yoghurt and cereals as well a cooked breakfast. One day I had to leave before it started so was given a breakfast tray in my room of fruit, cereals, juice - great service. Nant Yr Odyn Country Hotel & Restaurant Ltd This rating is a reflection of how the property compares to the industry standard when it comes to price, facilities and services available. It's based on a self-evaluation by the property. Use this rating to help choose your stay! 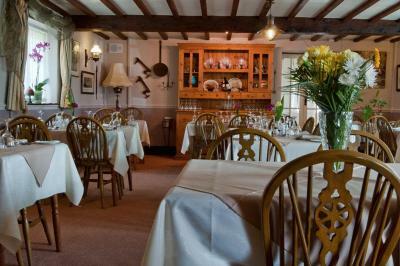 On the beautiful Isle of Anglesey, Nant Yr Odyn Hotel offers traditional rooms and a candlelit restaurant. Just 15 minutes’ drive from Bangor, there is free parking and free WiFi. 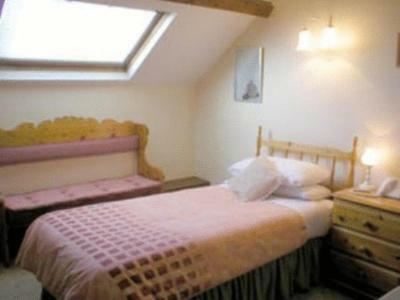 The cozy rooms at Nant Yr Odyn Country Hotel & Restaurant Ltd feature an private bathroom and tea and coffee facilities. 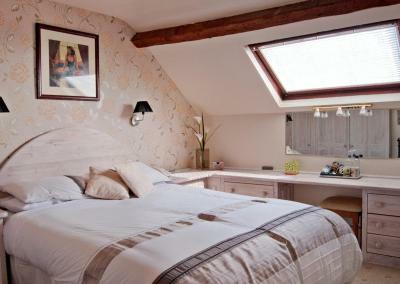 Rooms also have ample work space, and many have views of the Snowdonia Mountains and Malltraeth Marshes. Set in an 18th-century converted farmhouse, the Anglesey Restaurant serves a traditional Welsh menu using local produce, and features original exposed beams. The charming bar offers comfortable seating and a selection of beverages. Just 20 minutes’ drive from Holyhead Ferry Terminal, Nant Yr Odyn is 1,300 feet from the A55 Holyhead-Chester Euroroute. Snowdonia National Park can also be reached in 20 minutes and the famous Llanfairpwllgwyngyll is a 10-minute drive away. 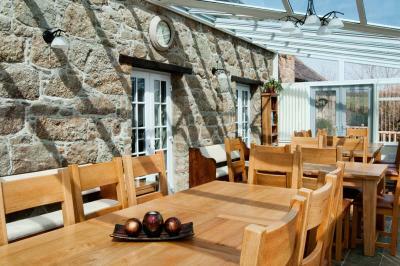 This property also has one of the top-rated locations in Llangefni! Guests are happier about it compared to other properties in the area. This property is also rated for the best value in Llangefni! Guests are getting more for their money when compared to other properties in this city. When would you like to stay at Nant Yr Odyn Country Hotel & Restaurant Ltd? House Rules Nant Yr Odyn Country Hotel & Restaurant Ltd takes special requests – add in the next step! Nant Yr Odyn Country Hotel &amp; Restaurant Ltd accepts these cards and reserves the right to temporarily hold an amount prior to arrival. Nant Yr Odyn Country Hotel & Restaurant Ltd accepts these cards and reserves the right to temporarily hold an amount prior to arrival. When booking, please inform the hotel of your estimated time of arrival. Coffee machine (e.g. Tassimo) in room or public area would have been appreciated as would have been a desk lamp for paper-working. Shower curtains are a personal hate, would have preferred a door, but this is being very picky. Bedooms could do with a little updating but were clean and bed was comfortable. Would be happy to stay again. We had to leave too early for a cooked breakfast but we were left juice, cereal, yoghurt etc on a tray the night before which was good. Very comfortable bar area and dinner was excellent. The owners were friendly and welcoming. My (single) room was quite small but it is an old country house hotel so this somewhat to be expected. Very good food and a lovely bar area. Very friendly, warm and accommodating hosts. Cooked breakfast was made available early to facilitate an early checkout which we greatly appreciated. In a lovely part of the world but still accessible. We had a couple of rooms, very clean and a nice comfy bed. We had a very early start before the breakfast service so we were very kindly offered a breakfast tray instead. Nice beers in the bar and had an excellent meal in the restaurant. Would definitely stay there again.